We have something a little extra to celebrate this Christmas in addition to Jesus’ birth and the promise and hope it brings to our family. We are expecting baby Hull # 2 this June! Humbled, thankful, apprehensive, joyful, scared, hopeful and excited are just a few of the emotions we’ve been experiencing over the past 8 weeks or so that we’ve known about this new little gift. And, more recently we learned that Baby Hull is another girl! We are excited for another girl and feel honored to get to teach her about her big sister, Brooklyn one day. Here are some pictures from our journey so far with baby # 2. 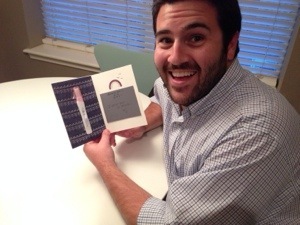 Here is Adam with the card I “sent” him in the mail the day I found out. 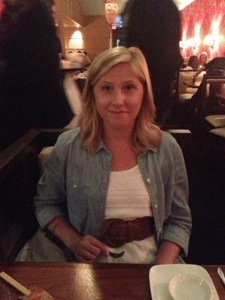 Here I am at our celebration dinner after we learned about baby # 2. We opened our favorite present, finding out baby is a girl! Congratulations! We are so happy for you! I pray “Squirmy” is as much a heart healer for you as Coleman was for us! Praising our Lord for this answered prayer. full of joy for y’all! Many congrats!